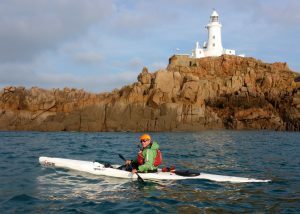 Yesterday was a great day to get out sea kayaking in Jersey. A 5 nautical mile offshore trip to les Écréhous off the north east coast of Jersey in our fast sea kayaks looked a good idea. 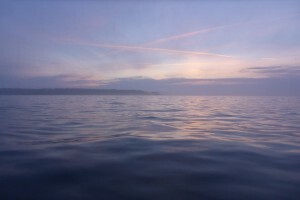 We set out from Archirondel off the east coast with a calm sea, good visibility with barely any wind. “I can see some grey shadows over there” said Mick. The “shadows” turned out to be a small pod of Dolphin feeding about 1 mile south east of les Écréhous. It felt cooler once we’d stopped paddling so the extra bits of clothing and paddle jackets we’d packed proved to be a good idea. 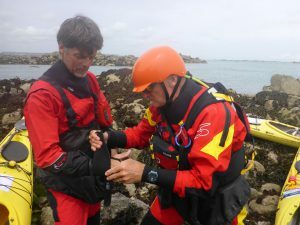 I later learned that two kayakers dressed in light clothing had been rescued off the south east coast of Jersey after one had fallen in and could not get back into the kayak. 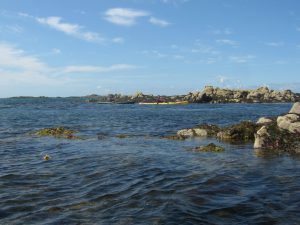 On May 11th the sea temperature was 11.5 degrees. Without extra clothing you soon lose your ability to perform a rescue so dress -or be prepared- for immersion. An evening snack while sitting on a bench looking back towards Jersey was a chance to enjoy the peacefulness of this wonderful place. We were the only people on the les Écréhous apart from a couple of yachts on the moorings. As we sat on the bench Mick spotted another shadow. This time it seemed to be forming along the north coast of Jersey. Just a bit of haze we thought at first but as we watched it gradually crept eastwards. 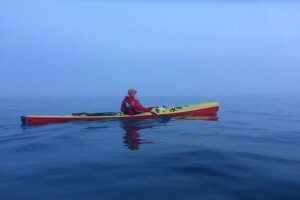 After 20 minuted paddling the “shadow” had changed into a fog bank and visibility was less than 100m. At times Mick was starting to look a bit hazy so it must have been even less visibility. The last time I’ paddled in these conditions I was on a 5 hour crossing when the had been due to lift but instead remained around us for almost the entire trip. We could hear aircraft on their approach into Jersey airport repeatedly trying to land. For the next hour we cruised across a mirror like sea on a compass bearing of 240 degrees which we’d calculated would allow for the south east running stream. Sounds of vehicles and aircraft drifted through the fog but they seemed to come from all directions. 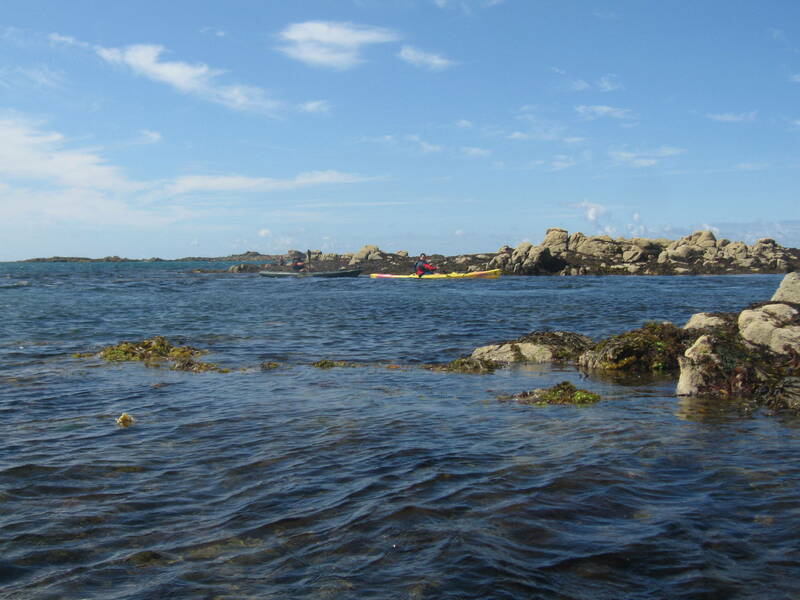 If you stopped for a moment our kayaks ended up pointing in all directions. Without a compass and a bearing to steer we’d have been in trouble. We had a GPS was on board. However, we had a compass bearing, and knew our speed was about the same as usual. 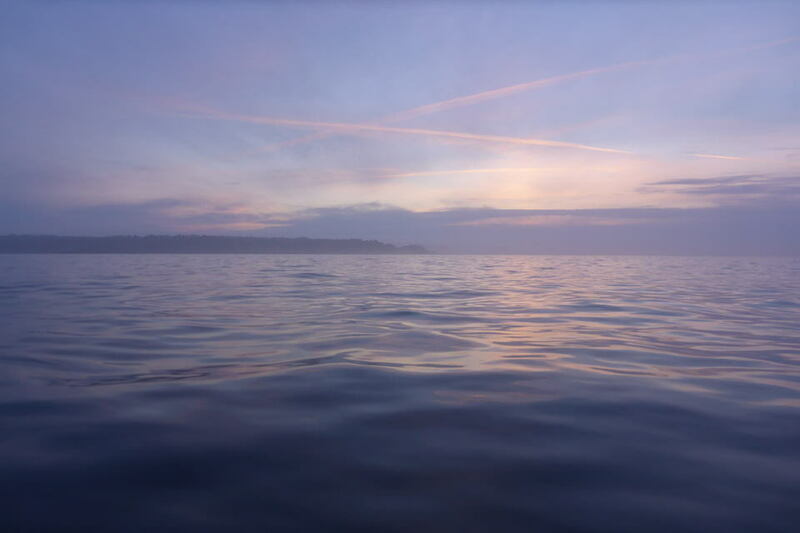 Some kayakers find there speed drops when they enter fog or head offshore so this is something which might alter the route plan and timings. In our case paddling in fog just added a nice dimension in what was still excellent sea conditions. There seemed little need to use the GPS until we were around or just past our estimated time of arrival. 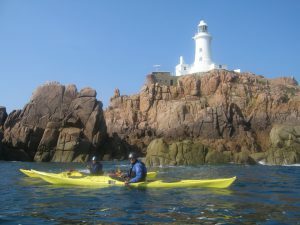 Jersey is also quite a large island to miss -though I know a few who have ended up well off course due to the tide streams and by not trusting a small bit of magnetised metal. Finally the fog lifted 1 hour 20mins after it enveloped us. Directly ahead of us was our target, St Catherine’s breakwater. Elsewhere around Jersey the fog was very thick while in other areas visibility was very good. 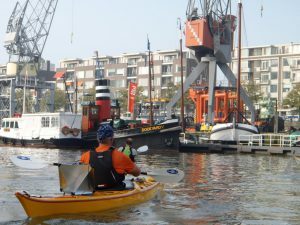 A superb trip which shows how important it is to carry a few basic bits of kit especially when heading away from shore. In these conditions even crossing a bay would have been a challenge without a compass. A compass was an essential item along with a spot of trip planing with a chart. 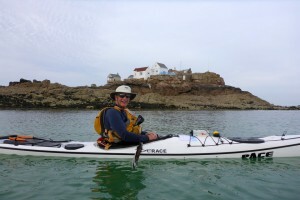 A GPS was just an extra aid but with lots of previous paddling practice at night and in poor visibility it was just an extra safety device. 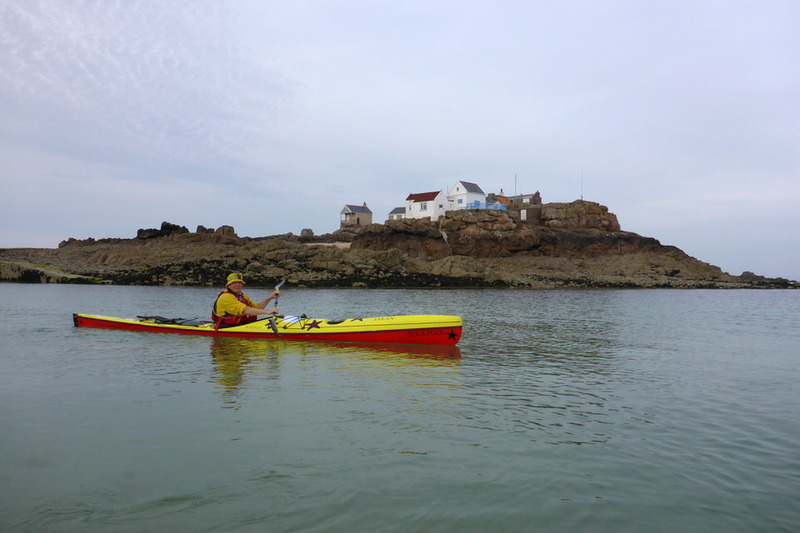 We had a VHF but were in the strange VHF marine radio “blackspot” that seems to be around St Catherine’s bay and missed a call from the Coastguard which we only learned about when we called in by mobile phone after landing. A good reason to carry a couple methods of communication. A great trip so long as you have a compass and the right gear. From 2018 the British Canoeing level 2 coach award is called the Coach award. These top tips to pass your kayak coach assessment remain equally valid today. 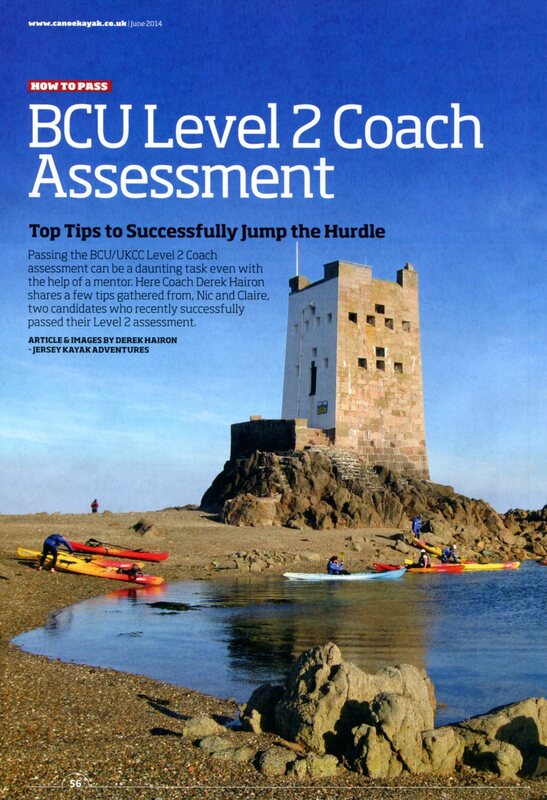 Passing the British Canoeing Coach assessment can be a daunting task even with the help of a mentor. Here are a few tips gathered from Nic and Clare who successfully passed their Coach Level 2 assessment. 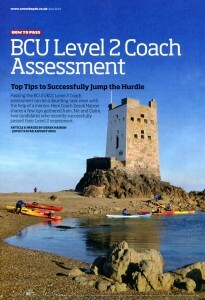 If you’re not familiar with the British Canoeing coaching scheme, it’s best to look at this page. When you have got confused get in touch with me – or a Coach trainer/assessor – for advice and clarification! Basically you can now directly sign up for the coach training course providing you have the paddlesport skills and experience. 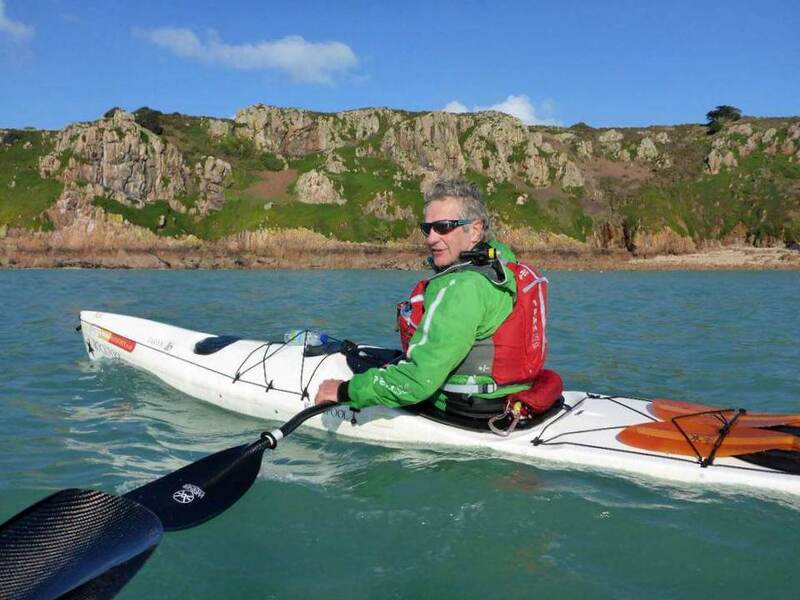 You do not need to have completed the BC Level 1 paddlepsort coach course. Personally, I’d advise you to be around BC 3 star level before you do the core training module. Why bother with the Coach assessment? The Coach award allows you to operate in defined areas without supervision. 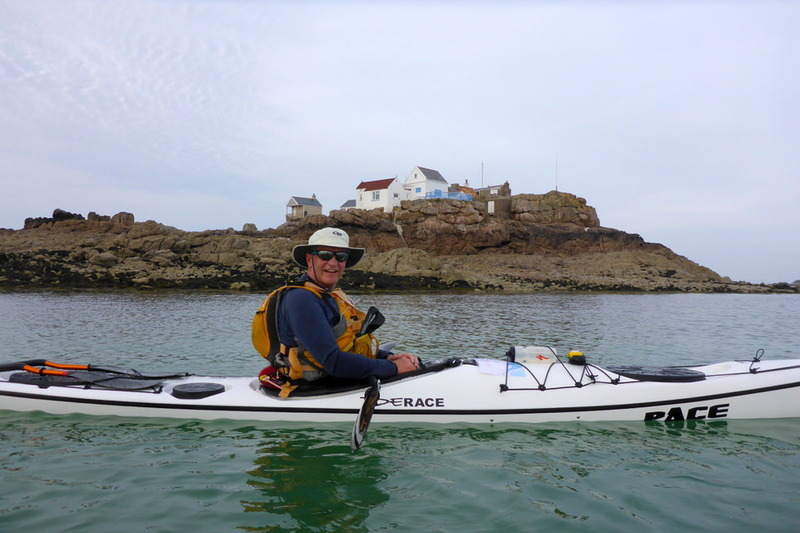 More importantly, if you already have the Sea kayak leader award and complete the sea kayak module you will increase your operating limits considerably. 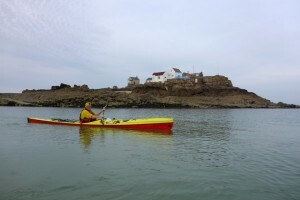 Develop your personal paddle skills up to a good standard so you no longer have to think about them. You’ll then be able to focus on your students more easily. 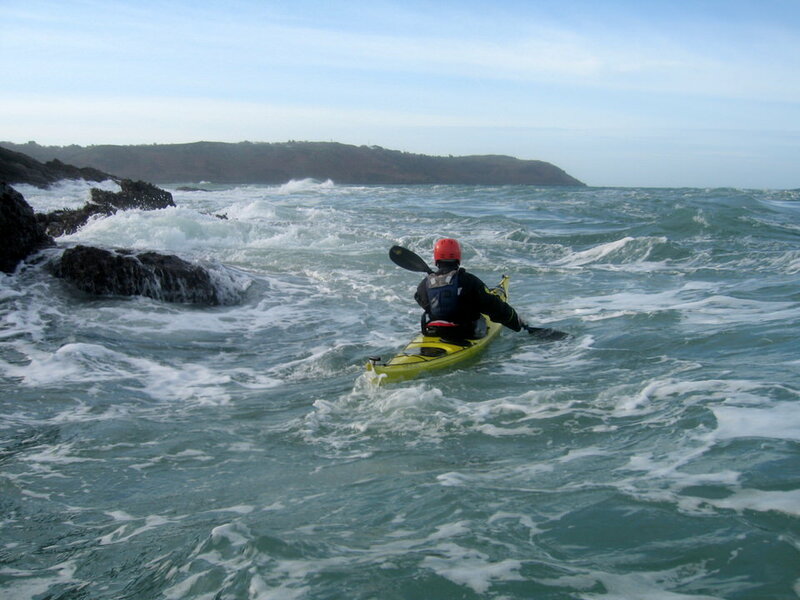 Get plenty of time afloat developing your own skills in a wide range of conditions so you build up your experience. 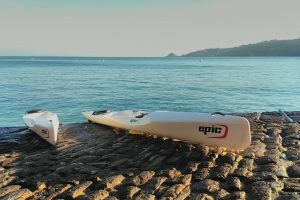 This is a good excuse to just get out paddling with your friends. Help out at your local club/youth group or centre. This will give you more opportunities to practice your coaching skills. Try to coach as wide a range of people as possible to develop your toolbox of coaching styles. There is a big difference between coaching young people and adults. Learn from other coaches. Spend time assisting on their sessions. 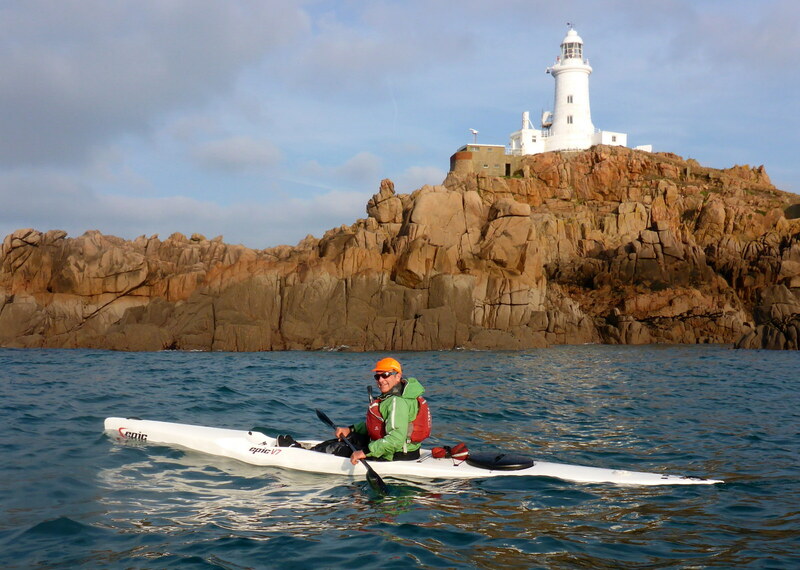 Keep your log book up to date and record anything related to paddlesport. Work in different types of craft. This will remind you what it feels like when doing a skill for the first time. You can be assessed in just one discipline e.g sheltered water, sea kayak coach – you’ll need sea kayak leader award for this-, sea kayak coach advanced water – you’ll need the advanced sea kayak leader award, surf kayak coach etc. Stay in contact with other trainees on you Coach training course and also the course providers. Both can provide support and advice as well as top tips. There are also a couple of Facebook pages in existence. Allow time to get any pre-requisites. It’s worth doing a 16 hour first aid course rather than an 8 hour one because it is more comprehensive and will be more useful in the future, e.g. if you go on to do 4 Star Leader assessment. Get a mentor who can give advice and also help you prepare your portfolio of experience for the assessment. Plan, do and review your coaching sessions. Write them up soon after the session while things are still fresh in your mind. If there are others in your area needing assessment, consider hiring an assessor rather than book onto an assessment course. This will allow you to – hopefully – coach students who you have been working with over a length of time. It makes things more realistic and less stressful. If you are a level 1 coach stepping up a grade to the Coach award, this will enhance your paddle-sport and coaching skills as well as helping you find employment in the adventure industry. 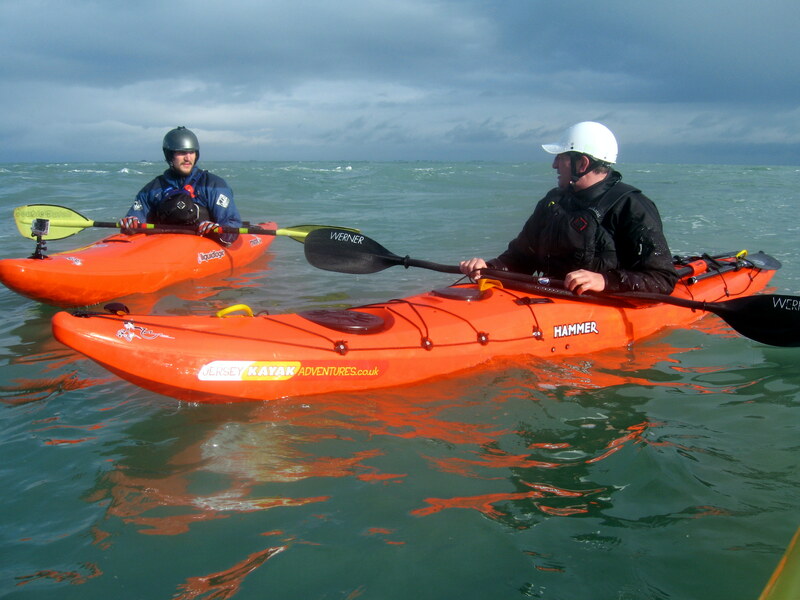 Clare and Nic subsequently passed their level coach award and headed south to kayak and find work in New Zealand. Minor updates to reflect the changes in the Coach training course were made in Dec 2017. 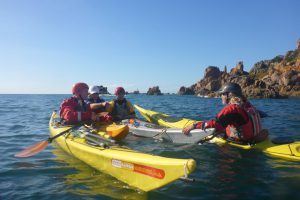 Develop your paddle and leadership skills while exploring the fantastic coastline of Jersey over 4 or 5 days. Improve your sea kayaking skills in a range of conditions along with trip planning and safety and rescue techniques.